Finding the perfect color, material, and texture for your needs can be tough, especially when you’re browsing online. No matter how clear the image on the web may be, it’s nearly impossible for an online image to truly convey a paper’s true color, weight, texture, and opacity. Unless you’re holding the paper in your hand, you can’t really know how it will look as a finished product.. The beauty of paper is how it catches the light, the way it feels, and how its color and finish complimenting your message. That’s why we spend tens of thousands of dollars to produce and offer our paper sample swatches to all of our customers. For clients interested in inspiring their customers to add a touch of shimmer, Announcement Converters offers our Glitter and Foil Collection Swatch Book. This unique paper swatch book has bright, sparkling cardstock options that will add eye-catching beauty to your project. Ranging from dark reds to bright purples, our Glitter and Foil Collection Swatch Book offers a variety of color options while highlighting our Glitter Cardstock and Elegant Glitter Cardstock collections. For more options, Announcement Converters also offers our Glitter and Foil Collection Part 2. 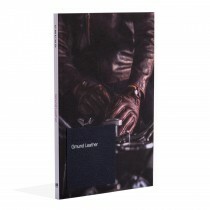 For a more sophisticated look and feel, Announcement Converters offers the Gruppo Cordenons Paper Collection Swatch Book. This special paper sample swatch book highlights paper samples from Canaletto, Dali Dore, Plike, Slide, Stardream, Starwhite Astrosilver, and Wild -from some of the world’s most famous paper mills. With these designer paper swatches, you’ll be sure to acquire the most suitable paper option for your invitations. For quality assurance, we always keep our specialty paper swatches in stock and ready to ship to your front door. At Announcement Converters, our paper swatch books allow our customers to mix and match colors and textures to find the perfect combination. These swatches allow our customers to look, touch, and discover the best paper option for their specific needs. Shop Announcement Converters’ expansive inventory of specialty paper swatches and find the best option for all your paper needs. GMUND Leather is exquisitely embossed to create a sumptuous and luxurious feel. This product looks and feels timeless and elegant through the use of a hauntingly perfect natural leather look. Great with almost every print medium, this product exudes high-end style and taste.